You know what they say, reading six minutes a day keeps the doctor away—or at least they should. From de-stressing to deciphering others' emotions, here’s all the incredible benefits of reading that prove why reading is a must-do. Reading exercises our brain by strengthening brain connections and building new connections. Turns out, exercising your brain is very important. Studies have shown that staying mentally stimulated can slow the progress of (and maybe even prevent) Alzheimer's and Dementia. Reading reduces stress. Snuggling up with a good book can transport you to the magic of other worlds away from immediate worries, thus reducing stress. And, studies have shown that reading for only 6 minutes a day can reduce stress levels by up to 68%, according to a study by the University of Sussex. Reading improves focus and concentration. Especially in children, the ability to focus on one book and story for an extended period of time teaches valuable focus and concentration skills that are being lost in our modern world of multi-tasking. Reading develops and improves imagination. Not everyone can imagine a whole world inside their mind, but readers can. In fact, we can create multiple worlds, each imagining the characters and places in our own ways. Reading improves empathy through being able to imagine how characters are feeling and relate it back to real life. Apparently, literary fiction, specifically, has the power to help its readers understand what others are thinking by reading other people’s emotions and experiencing their stories. Reading opens doors. The more you read, the better you get at it, and it's been shown that the better you are at reading, the easier it is to excel in other areas. Readers perform better in school, score higher on tests, and are better able to pick up new skills. Reading improves vocabulary and language skills. Being articulate and well-spoken is of great help in any profession, and knowing that you can speak to higher-ups with self-confidence can be an enormous boost to your self-esteem. Reading is vital for learning new languages fluently. A good understanding of language, plus the ability and desire to read in the language you're learning are key to speaking fluently. Reading improves your memory. When you read not only are you remembering a whole new cast of characters, backgrounds, history, sites, and customs, you're also improving your short-term memory. Reading teaches you about the world around you. Maybe you can't afford to travel as much as you'd like, but with reading you can still learn and imagine the world around you. Plus, you can imagine the world as you idealize it, and entirely different worlds as well. Reading self-help books can help decrease depression. Self-help books may even work in cases of severe depression. According to a University of Manchester meta-analysis published in 2013, people with severe depression can benefit from “low-intensity interventions,” including self-help books and interactive websites. Reading ignites new ideas and improves creative thinking. Ever finish reading a book and feel inspired? When you read, you're taking in new ideas and thinking of ways to improve them. Reading improves critical and analytical thinking skills. When you read, you're analyzing the plot and predicting what hasn't happened yet. Just think about all the brainpower that goes into solving mystery novels. If you find yourself constantly being able to call out the murderer while your non-reader friends remain puzzled, then you're a reader. Children who read achieve better in school, and not just in English and Literary classes. They perform better on tests, pick up new material faster, and have better concentration and critical thinking skills that help them achieve over their non-reading counterparts. Reading is a great way to spend time together. Maybe you read together as a family, or take family trips to the bookstore or library. Maybe you've joined a book club, or just enjoy talking about series you love with your friends. All these activities bring you closer to those around you. Reading improves writing skills. Just like the first step to becoming a great author is to read a ton, readers in general are better writers. Writing is a great skill that can help you land jobs or even simply keep you safe from the grammar Nazis on social media. Reading is a source of fun that you can always have with you. It's not hard to carry a book on your travels, and even easier to carry multiple books on a tablet or phone. You'll never have to endure a boring wait again. Reading before bed can help you sleep, but only if you don't keep yourself awake with cliff hangers. Reading a real book helps you relax more than zoning out in front of a screen before bed, and if you're relaxes, you can get more shut-eye. However, many experts warn that reading on screen can trigger the senses that keep you awake longer. So, maybe stick to print books for your late-night reading. Reading jump-starts your brain. Do you ever get in a brain funk where you can't think? Or maybe you're a little groggy in the morning and need some time to wake up. Well, reading for just a few minutes in the morning, or whenever you need a little extra oomph, can help your brain wake up to think of those million-dollar ideas. Reading gives you a happiness boost. 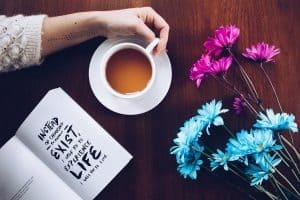 A study published in the Journal of Consumer Psychology shows that experiential products designed to create or enhance life experiences, like books, are total happiness boosters. Reading makes you feel fulfilled. Every time you finish reading a big book, you feel a small sense of achievement. A University of North Texas study found that older adults who continue to read and learn are much more satisfied with their lives than those who don't. Reading can be free entertainment. Whether it's through libraries, sharing books, classics in the public domain, or free ebook sites like Book Cave, you don't have to pay to enjoy reading. There's so many great free books in every genre that you might as well take advantage of it. Money should never stop you from reading. Reading doesn't just have benefits for those doing the reading. Check out The Ultimate Reading Guide for Your Child to learn about the benefits your children enjoy when you read to them. Have you gotten your reading in today? Let us know in the comments below. have finished an excellent book and am starting the following one in the same series right away cause i cannot abide the suspense, book ended in such a cliff hanger!! the series is the immortality and chaos series by eric t knight and the book i was referring to was book 4 called hunger's reach which the is book before the last which is called oblivion's reach and the whole series is amazing! I'd love to share this on Facebook but the link doesn't work, nor am I able to email it. It's a great blog and lots of people should read it. Is there a way to keep this? I just tried sharing and it seems to work. Are you getting some kind of error when clicking the Facebook icon? Hi, Tony, I don't receive an error message. Nothing happens at all. I put it on my Internet browser and then emailed it to myself. I thought to then share it to Facebook. I have another little snag. There's no author name for proper credit. Did you write this? Sarah James is the author. Her name is at the top, beneath the post title. To share on Facebook, you should just be able to click the Facebook icon on this page (blue button with a white F on it). On a computer, the share buttons are usually on the left of the page; on smaller windows, at the bottom of the screen. 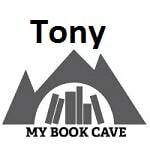 You can also copy the URL (https://mybookcave.com/23-benefits-of-reading-that-will-make-you-want-to-go-read-a-book-right-now/) and paste it on a Facebook post. I am forever grateful to my mother for encouraging me to read. One of my early memories is going to the library and getting my first library card at four years old. Books have given me access to new ideas, exciting adventures and will help my brain stay healthy as I grow older. Thanks Mom. Christine, sounds like we had the same wonderful kind of mom! Mine also taught me to read by age 4, and we'd spend every Saturday morning in the library stocking up on books for the week. Reading helped me excel in school, and has given me joy in the 40 years since I left school. This is a great list! I'm so excited since I can check off all but #9. Learning a new language will be a new stretch for me! I tease that reading is my only addiction. I usually read a book or two a day and developed this habit from the encouragement of my Dad when I was a child. Now at 70 years young, I still enjoy the pleasures of reading. Thank you for this article! Happy Reading Days/Nights to ALL! I’m 77 years old and I read an average of 4 to 5 hours a day. I have always liked reading since I learned how. I never go to bed without reading my books. I have several I am reading all time.